Pete from aflratings.com.au looks at the average differentials for the Power. Justin Westhoff (2018 Ave: 101.9) became only the 4th Port Adelaide player to record a 100.0pt average in the Ken Hinkley era (2013-18), he scored 100pts or more in 50.0% of games & 120pts or more in 13.6% of games. The role for Westhoff in 2018 was conducive to scoring well in fantasy, the injury season from Paddy Ryder also contributed to his increased average. 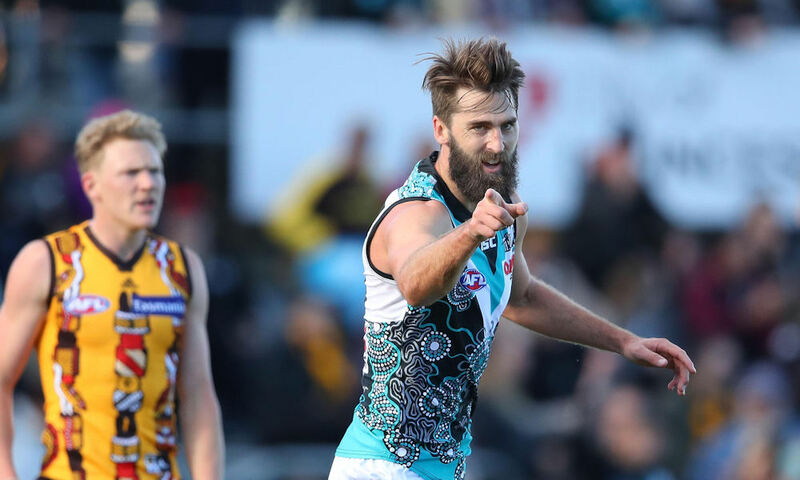 Westhoff averaged 7.0 Hit Outs more in 2018 compared to his 2017 season, he was also able to hit the scoreboard kicking 24 Goals. Many coaches will click on the name of Tom Rockliff (2018 Ave: 82.9) fairly quickly when AFL Fantasy opens in late January, another injury interrupted season from Rocky along with some different roles at his new club impacted his fantasy output significantly. Many coaches will refer to the enormous numbers put up by Rockliff in previous stint at the Lions, unfortunately those days are long gone. Rockliff put up a decent stretch between Rounds 8-18 when he averaged 96.8pts, he averaged 65.5pts in all other games some of which he was hampered by injury. At an average of 82.6pts to begin 2019 there is value in selecting Rockliff especially if he retains DPP MID/FWD status, the concerning aspect is that his points floor dropped significantly last season when he was pushed into a tagging role. The summer will be filled with debate on selecting Tom Rockliff, it could be a season defining selection either selecting him or not. Ollie Wines (2018 Ave: 93.5) regressed slightly compared to his 2017 campaign, his fantasy average appears to be set between 92-100pts in any given year. With so many other options at the MID position selecting Wines at Round 1 would be unique, a possible choice for those taking the mid-price approach. I think Rockliff averaged 103 last year and 116.6 in 2016? Love these articles, very interesting.